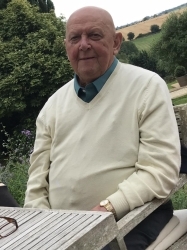 The Club has been informed of the death of Roger Hulburd who passed away suddenly on 28th October 2018 aged 80. A celebration of his life will be held at Bromyard Rugby Club on Wednesday 14th November at 1.00pm. Black is not necessary. The family would like to see as many of Rogers friends their as possible.